Temperature Station Color Forecast | BUDK.com - Knives & Swords At The Lowest Prices! The Wireless Color Forecast Station with a backlit display is easy to use and provides real-time weather straight from your backyard. 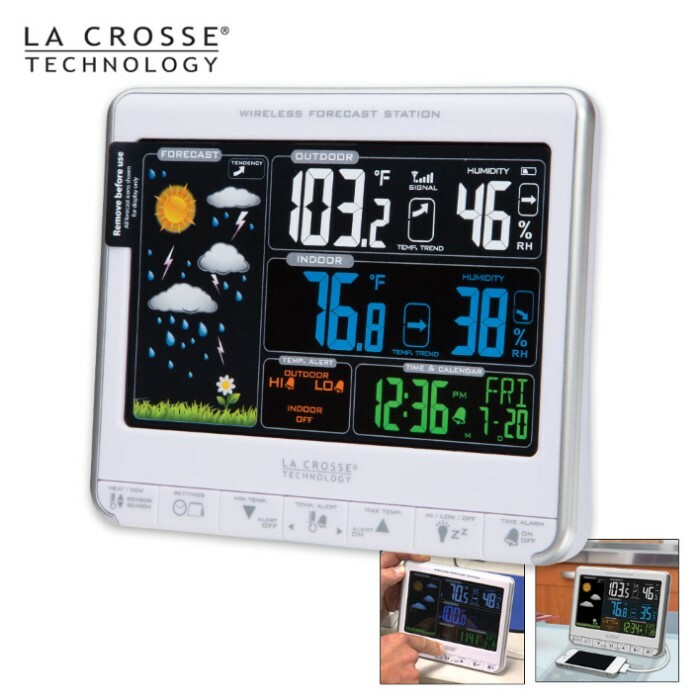 Monitor indoor and outdoor temperature with daily min/mix records and humidity, track weather trends and set your own high and low temperature alerts - all in one convenient device for your desktop or bedside table. The animated color forecast icons react to changing barometric pressure and it has a wireless transmission range of over 300 ft. 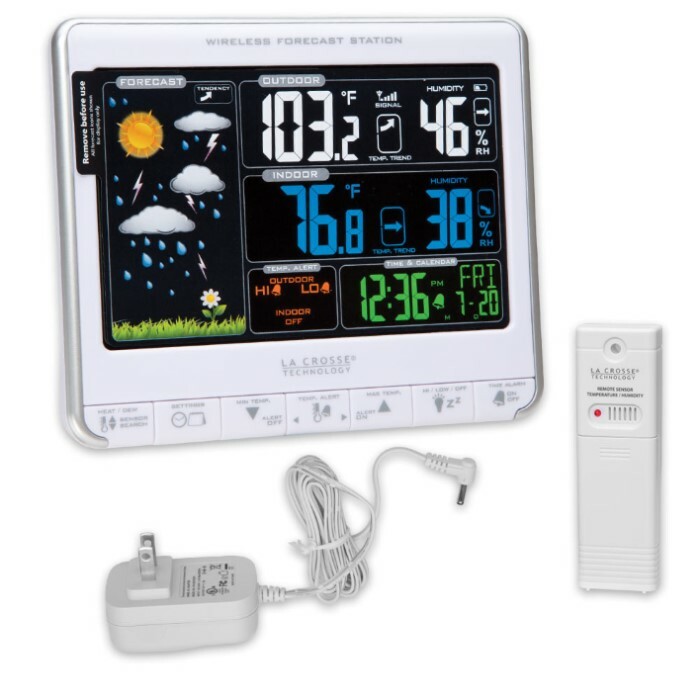 It also features heat index, dew point, digital time and date with snooze alarm and a temp/humidity sensor. 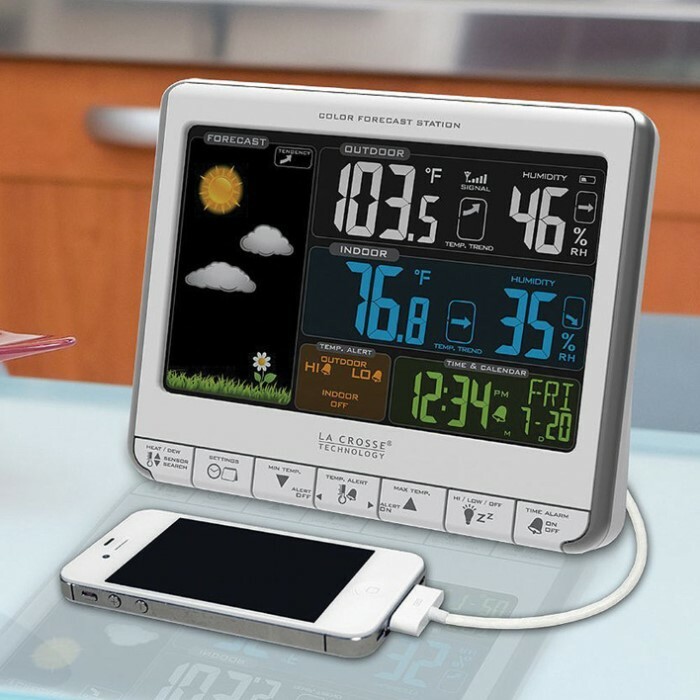 It has a USB charging port to charge your smartphone or other device. Its dimensions are 6" L x 1 1/2" W x 5" H.